Since the start of the year, I’ve not found it too tough to find new things to do after work every day. But now that summer’s pretty much here, I feel like there are even more options thanks to the dry, warm, light evenings. 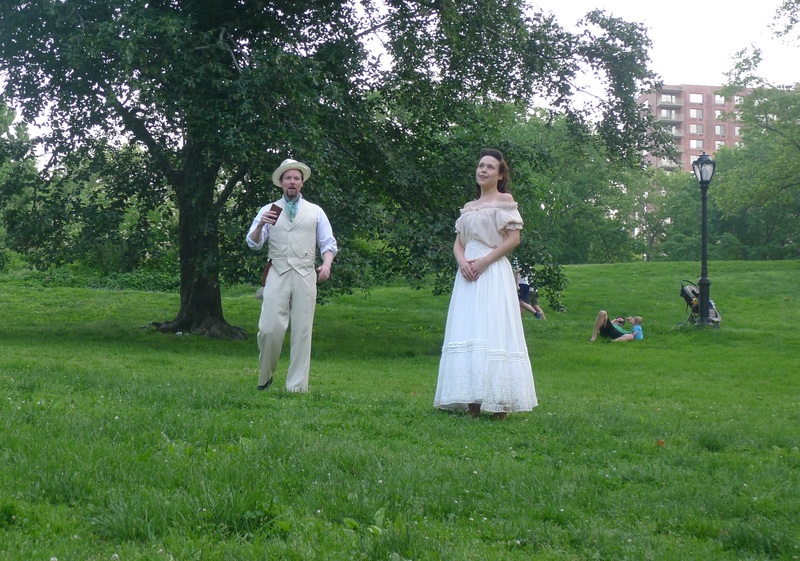 Tonight I took advantage of one such summer option – a free Chekhov play in Central Park. This couldn’t have been easier. 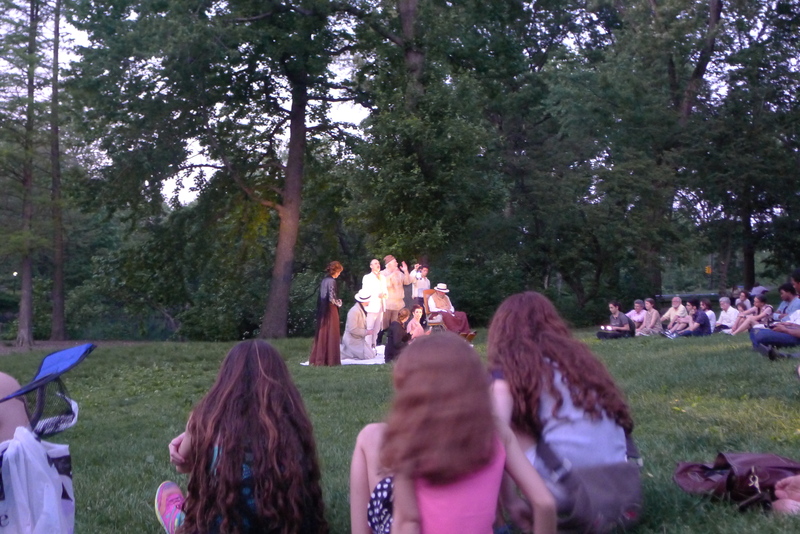 The show, which is performed by the New York Classical Theatre, started at 7pm on West 103rd Street at the park entrance. 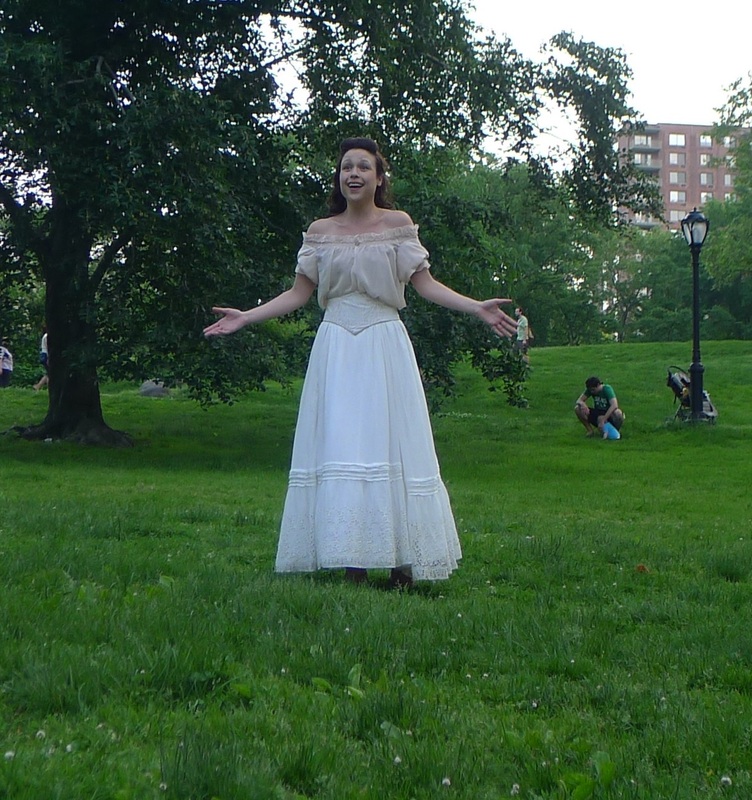 It cost nothing and there were no chances of spots running out because the audience simply scattered across the grass. 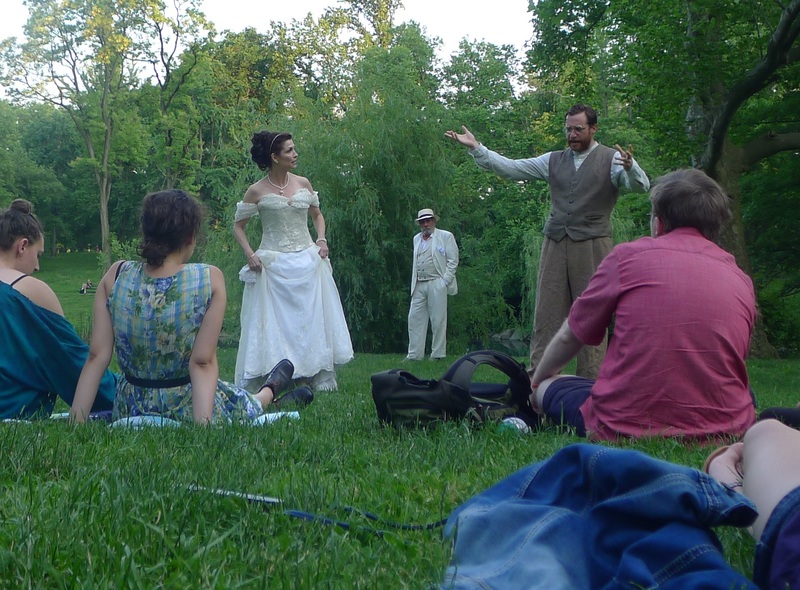 I’ve both been in and read a fair few Chekhov plays, but I’ve never actually seen one. 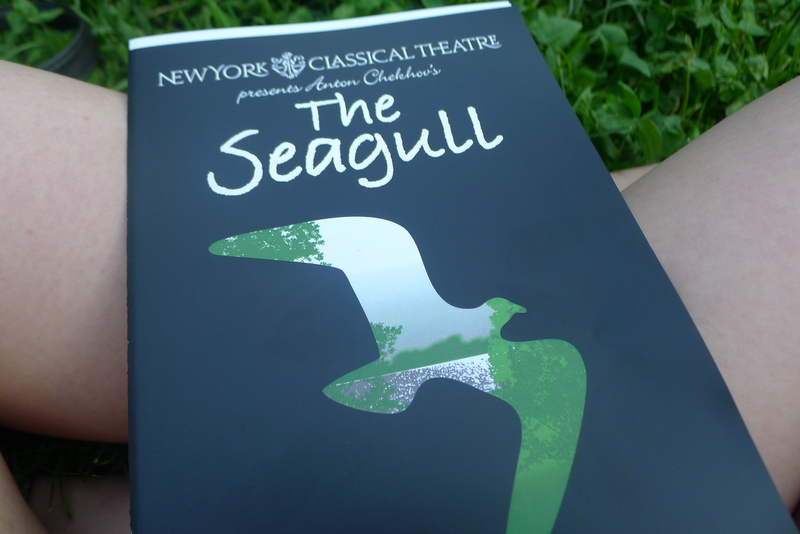 The Seagull was a great place to start. The intricacies and interactions of these dramatic characters were gripping. And somehow, the writing seemed really modern; the jokes just weren’t dated at all. The acting was superb. 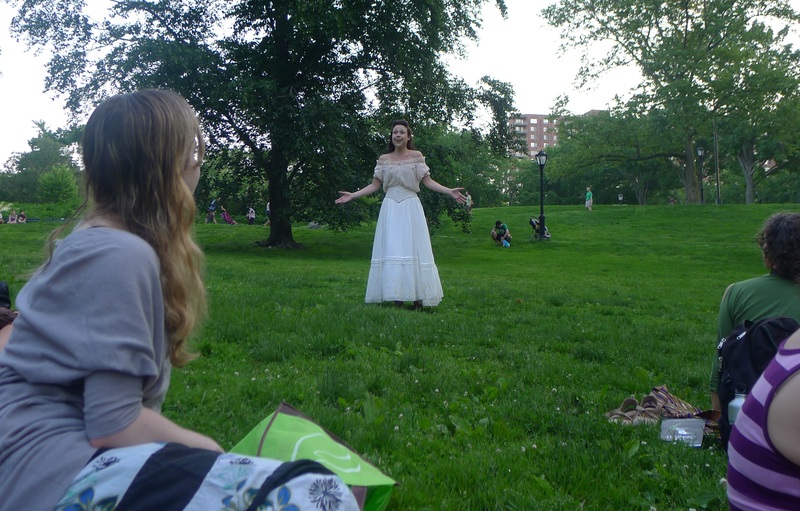 I couldn’t take my eyes off Lindsey Kyler, who played a dramatic and ultimately unstable Nina, or Tamara Scott as the beautiful but cruel Irina. And the bumbling bitterness of Medvedyenko, a poor schoolteacher played by Zachary Fine, got me chuckling every time he spoke. Despite the potential of losing lines to the trees, their projection was fantastic – reaching the back of the ever-growing crowd and keeping even the littlest audience members entertained for nearly two hours. 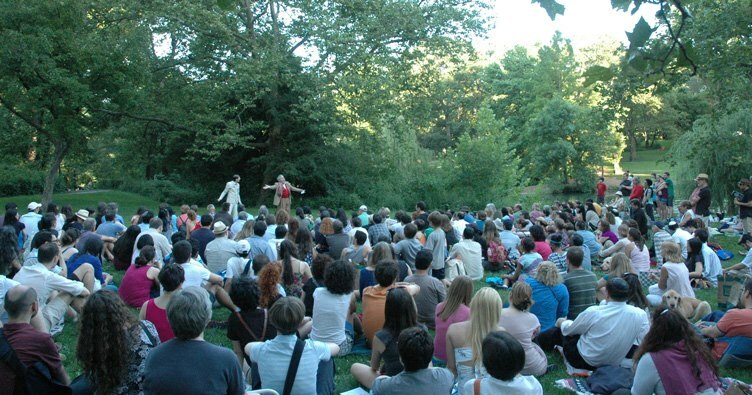 Every 20 minutes, we were led to a different part of the park – a rock, a shade of trees – which allowed for more intimate or wider stages. I particularly liked how we started on one side of the lake and finished as the sun was setting on the other, allowing us to look back and consider how much had changed since the beginning. It did mean contending with the odd bicycle, inquisitive child or dog yap, however. There is no reason not to go to this! It’s every Thursday to Sunday until June 23. 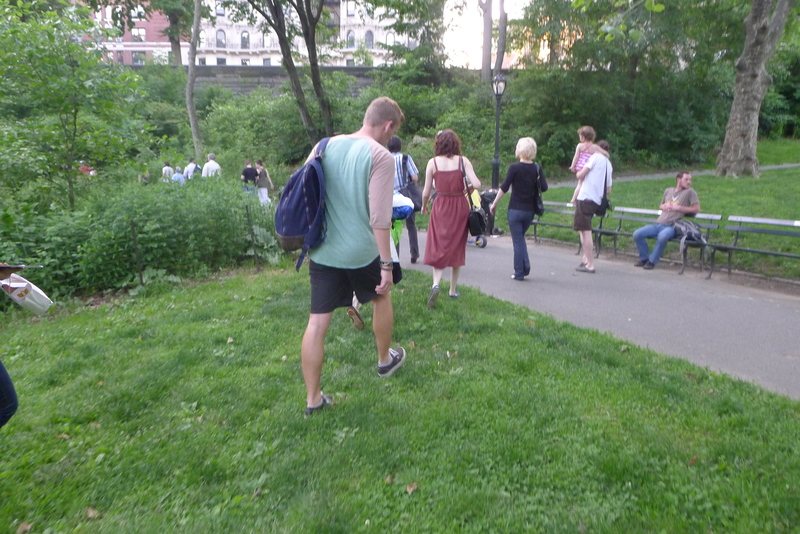 It’s definitely an activity to make the most of a warm summer evening, and a good excuse to check out another corner of the park. As an extra new thing, today’s the day my subway card karma finally paid off. I give a swipe a week to a stranger, and tonight the man in the booth said hello and then pressed a button to magically let me through. As Noah would say, what good fortune.